As usual, the summer seems to be flying by at a rapid pace, but it is certainly the dog days of summer. We are right in the thick of things, and life at the lake is very casual as work is put on the back burner for a lot of people. Except for the local businesses. They are booming, as people flood into the restaurants, beaches and the variety of entertainment venues. People are flocking to the recently renovated Round Hill Pines Resort. 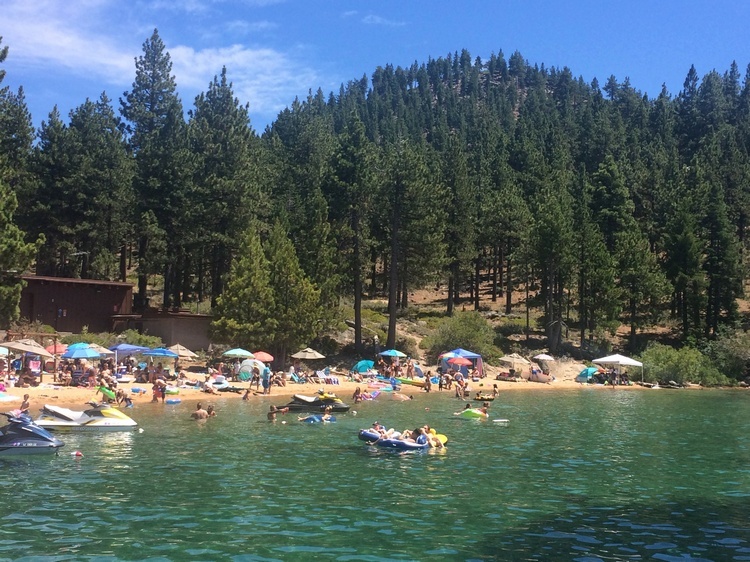 The Pines just underwent an update for the first time in over 30 years — a complete repair and lengthening of the pier, which is now very accommodating to boaters coming and going and to sightseers just checking out the lake. A new kitchen and outdoor dining area are situated on a small bluff above the beach with beautiful views of Marla Bay and the mountains on the west shore. Two bars were added, one a Tiki Bar that serves a mean Pina Colada, aptly named the Pain Killer. The dining area also serves as a great spot to have an event, and it is a very popular spot for weddings. They are finally taking steps toward the future at Round Hill Pines. 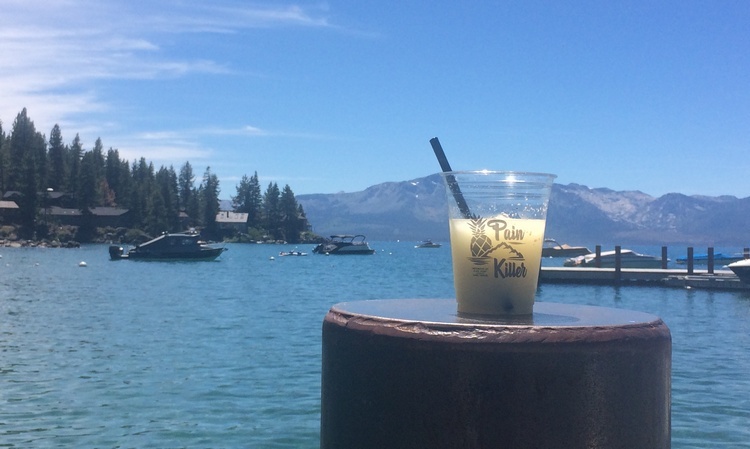 As more work is planned, it’s good to see the place getting a facelift while also trying to maintain some of the old Lake Tahoe charm from its opening in 1951. The Pines serves its Pain Killer to calm nerves, but the real anxiety reliever is the lake itself this time of year. Dare I say the water is “warm”? It still gives that Tahoe kick when you first enter, but the time getting acclimated is greatly reduced right now. As you swim or wade along, the temperatures in the water fluctuate as you go from warm and cool pockets — all very satisfying. The warm days turn into warm nights, and it’s very nice not having to go out and worry too much about carrying a sweater. 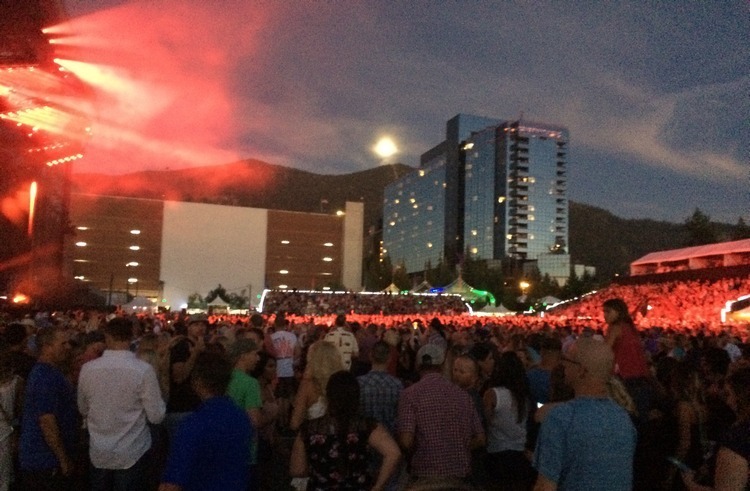 The scene down at Stateline during a Harveys outdoor concert is very festival-like, whether you have a ticket or not to the show. Although, it’s way better to be inside the venue experiencing a musical act. And people have been packing into every show so far this summer, as the show starts around sunset and goes on into the night. Such a fun place to meet up with friends and family and just have fun while grooving to some good tunes.